David Gerald grew up to the sounds of the blues and R&B music in his hometown of Detroit. He started playing guitar at the age of 15, influenced by Prince and 80's rock guitarists. Eventually he rediscovered the blues and listened to the music of the likes of Albert King, ZZ Hill, B.B. King, and Stevie Ray Vaughan. Now Gerald tours nationally with his own band at clubs and festivals across the United States. 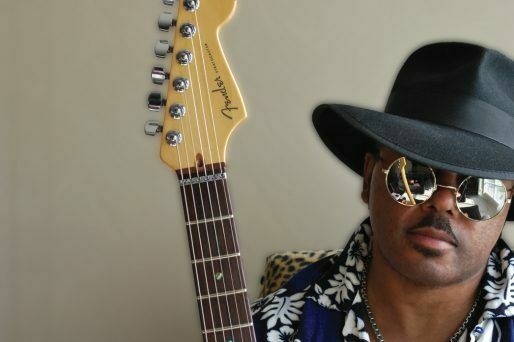 Gerald's music has been receiving widespread radio play, along with recognition in the Blues and Rock communities. Recently Gerald was listed as #1 on the ReverbNation blues charts for Michigan Blues artists. His debut album "Hell and Back" reached #1 on Roots Music Report's Blues Chart for Michigan based artists and remained in the top 20 for many weeks in a row.